Carpenter, George W. History of Calhoun County. Jerseyville, Ill. : Democratic Print, c1934. Carpenter, George W. Calhoun is my kingdom; the sesquicentennial history of Calhoun County, Illinois. Board of County Commissioners, Calhoun County, Illinois, c1967. Lammy, John. Calhoun county : its early history and first settlers. Hardin, 1876. Portrait and biographical album of Pike and Calhoun counties, Illinois … Chicago : Biographical pub. co., 1891. Hixson W.W. & Co. Plat book of Calhoun County, Illinois. Rockford, [1926?]. Rockford Map Publishers. Land atlas and plat book, Calhoun County, Illinois. Rockford, 1982. If you have questions about using the online catalog or subject headings, please see How To use Our Library. We've provided a few areas below to start you off. Bateman, Newton, 1822-1897, ED. Historical encyclopedia of Illinois, ed. by Newton Bateman, LL. L., Paul Selby, A.M.; and history of Carroll County, ed. by Charles L. Hostetter … Chicago : Munsell Pub. Co., 1913. Kett, H.F. and Co., pub. The history of Carroll county, Illinois. Chicago : H. F. Kett & Co., 1878. Portrait and biographical album of Jo Daviess and Carroll counties, Illinois. Chicago : Chapman Brothers, 1889. Hixson W.W. & Co. Plat book of Caroll County, Illinois. Rockford, 1926. Ogle, George A. & Co. Standard atlas of Carroll County, Illinois. Chicago, 1908. Rockford Map Publishers. Land atlas & plat book ... Carroll County, Illinois. Rockford, 1976. Biographical review of Cass, Schuyler and Brown Counties, Illinois. Chicago, Biographical review Pub. Co., 1892. Gridley, James Norman. Historical sketches. Virginia, Ill., Printed by the Enquirer, 1907? Perrin, William Henry, ED. History of Cass County, Illinois. Chicago : O.L. Baskin & co., 1882. Schweer, Mrs. T. J. History of Beardstown and Cass County. Beardstown, 1925. Ogle, George A. & Co. Standard atlas of Cass County, Illinois. Chicago, 1899. Bateman, Newton, 1822-1897.  Historical encyclopedia of Illinois / edited by Newton Bateman, Paul Selby ; and History of Champaign County / edited by Joseph O. Cunningham. Chicago : Munsell Pub. Co., 1905. The biographical record of Champaign County Ill. … Chicago : S.J. Clarke Publishing Company, 1900. Brock & Company. Standard atlas of Champaign County, Illinois, including a plat book of the villages, cities and townships of the county. Chicago, 1929. Clark, A.W. Atlas of Champaign County, Illinois, 1943. Rockford, Ill. : W.W. Hixson & Co., 1943. Goodell, Hubert Ellis. Atlas of Champaign County, Illinois. Rockford, Ill. : General Map Co., 1951. Bateman, Newton, 1822-1897. Historical encyclopedia of Illinois / edited by Newton Bateman, Paul Selby ; and History of Christian County / edited by Henry L. Fowkes. Chicago : Munsell Pub. Co., 1918. History of Christian County, Illinois / with illustrations descriptive of its scenery, and biographical sketches of some of its prominent men and pioneers. Philadelphia : Brink, McDonough, 1880. McBride, J. C. Past and present of Christian County, Illinois. Chicago, Ill. : S.J. Clarke Pub. Co., 1904. Portrait and biographical record of Christian County, Illinois. Chicago, Ill. : Lake City Pub. Co., 1893. Young, Orris Ephraim. A General History of Christian County, Illinois. B.L. thesis, University of Illinois. Urbana, 1893. General Map Company. Plat book, Christian County, Illinois. Rockford, Ill. : General Map Company, c1948. Rockford Map Publishers. Atlas & plat book, Christian County, Illinois. Rockford, Ill. : Rockford Map Publishers. Bateman, Newton, 1822-1897. Historical encyclopedia of Illinois / edited by Newton Bateman, Paul Selby. And, History of Clark County / edited by H.C. Bell. Dixon, Ill. : Print Shop, 1976. Perrin, William Henry, ED. History of Crawford and Clark counties, Illinois. Evansville, Ind. : Unigraphic, 1968. Watts, Lorie O. Index of the book History of Crawford and Clark Counties, Illinois. reproduced in 1967 by Unigraphic, Inc., Evansville, Ind. for the Crawford County Historical Society, 1967. Hixson W.W. & Co. Plat book of Clark Co., Ill. Rockford, 1930? Ogle, George A. & Co. Plat book of Clark County, Illinois. Chicago, 1892. Rockford Map Publishers. Farm plat book, Clark County, Illinois. Rockford, c1955. History of Wayne and Clay Counties, Illinois. Evansville, Ind. : Unigraphic, 1977. Biographical and reminiscent history of Richland, Clay and Marion counties, Illinois. Indianapolis : B. F. Bowen, 1909. Index of proper names History of Wayne and Clay Counties, Illinois [Chicago, Globe Pub., Co., 1884] / prepared by Agnes Lownsdale Kendall. Marion, Ind. : [s.n. ], 1947. Atlas & plat book, Clay County, Illinois / sponsored by Clay County Farm Bureau. Rockford, Ill. : Rockford Map Publishers. Rockford Map Publishers. PLAT BOOK, CLAY COUNTY, ILLINOIS. ROCKFORD, 1953. FARM PLAT BOOK WITH INDEX TO OWNERS, CLAY COUNTY, ILLINOIS. ROCKFORD, 1963. History of Marion and Clinton counties, Illinois. With illustrations descriptive of the scenery, and biographical sketches of some of the prominent men and pioneers. Evansville, Ind. : Unigraphic, 1974. Portrait and biographical record of Clinton, Washington, Marion and Jefferson Counties, Illinois : containing biographical sketches of prominent and representative citizens of the counties together with biographies and portraits of all the governors of the state and the presidents of the United States. Evansville, Ind. : Unigraphic, 1975. Portrait and biographical record of Clinton, Washington, Marion and Jefferson Counties, Illinois : containing biographical sketches of prominent and representative citizens of the counties : together with biographies and portraits of all the governors of the state and the presidents of the United States. Chicago : Chapman Pub. Co., 1894. Farm plat book and business guide, Clinton County, Illinois. [cartographic material] Rockford, Ill. : Rockford Map Publishers, c1950. Standard atlas of Clinton County, Illinois [cartographic material] : including a plat book of the villages, cities, and townships of the County ... / compiled and published by Geo. A. Ogle & Co. Chicago, Ill. : Geo. A. Ogle & Co., 1913. W.W. Hixson & Co. PLAT BOOK OF CLINTON COUNTY, ILLINOIS. ROCKFORD, 1930. Portrait and biographical album of Coles County, Ill. / [Chapman Brothers]. [Charleston, Ill. : Coles County, Illinois Genealogical Society, 1980?]. History of Coles County, 1876-1976 : Coles County, Illinois / edited by Marta Cates Ladd and Constance Schneider Kimball. [s.n.] : Charleston and Mattoon Bicentennial Commission, 1976. Index to History of Coles County, 1876-1976 : Coles County, Illinois / indexed by Mrs. Joseph C. Gary (Mary A. Harlow) ; edited by Mrs. James P. Gary (Carol Kirschner). [Charleston? Ill.] : Coles County Illinois Genealogical Society, 1988. Photographic images & the history of African Americans in Coles County, Illinois / Onaiwu W. Ogbomo. Charleston, Ill. : Eastern Illinois University, c2002. Illinois. Dept. of Transportation. Map of Coles County. [Springfield, IL : Illinois Dept. of Transportation] 1925. Historical plat maps of Coles County, Illinois / as compiled by Ronald Nichols ; under the auspices of the Coles County Genealogical Society. Charleston, Ill. : The Society, 1982. Standard atlas of Coles County, Illinois [cartographic material] : including a plat book of the villages, cities and townships of the county, map of the state, United States and world, patrons directory, reference business directory and departments devoted to general information, analysis of the system of U.S. Land Surveys, digest of the system of civil government, etc. / compiled and published by Geo. A. Ogle and Co. Chicago : Ogle, 1913. Album of genealogy and biography, Cook County, Illinois : with portraits. 13th ed., rev. and improved. Chicago : La Salle Book Co., 1900. History of Cook County, Illinois : being a general survey of Cook County history, including a condensed history of Chicago and special account of districts outside the city limits : from the earliest settlement to the present time / editors, Weston A. Goodspeed, Daniel D. Healy. Chicago : Goodspeed Historical Association, c1909. History of Cook County, Illinois. From the earliest period to the present time ... By A.T. Andreas. Chicago : A.T. Andreas, 1884. Portrait and biographical record of Cook and Du Page counties, Illinois, containing biographical sketches of prominent and representative citizens of the county, together with biographies and portraits of all the presidents of the United States. Chicago : Lake City Pub. Co., 1894. WATERMAN, ARBA NELSON, 1836- HISTORICAL REVIEW OF CHICAGO AND COOK COUNTY AND SELECTED BIOGRAPHY. CHICAGO, 1908. Chicago suburban maps, Cook County, Illinois [cartographic material] / Central Map, Survey and Publishing Co. Chicago : The Co., c1891. Cook County (Ill.). Dept. of Highways. Township maps of Cook County, Illinois. [cartographic material] [Chicago, Ill.] : Cook County Highway Department, 1973. Illinois, historical / editors, Newton Bateman, Paul Selby ; Crawford County, biographical. Chicago : Munsell Pub. Co., 1909. A history of Crawford County, Illinois, 1900-1925. Urbana, University of Illinois, 1951. History of Crawford and Clark counties, Illinois. Evansville, Ind. : Unigraphic, 1968. Index of the book History of Crawford and Clark Counties, Illinois. S.l. : s.n., between 1967 and 1982. Plat book of Crawford County, Illinois. Rockford, Robinson, c1947. Farm plat book and business guide, Crawford County, Illinois. Rockford, Ill. : Rockford Map Publishers, 1954. Counties of Cumberland, Jasper and Richland, Illinois --Indexes. Complete surname index for 1884 history & biographical book Cumberland, Jasper & Richman Counties, Illinois : 2179 different surnames. Olney, Ill. : Historical Society Publ., 1969. Counties of Cumberland, Jasper and Richland, Illinois. Historical and biographical. Chicago : F. A. Battey & Co., 1884.